Middleburg, VA (February 10, 2015) – Salamander Resort & Spa in partnership with Sushiko Chevy Chase, MD, will host the very first Sushi & Red Burgundy Wine fundraising dinner on the revised date of Monday, April 13, at 6 p.m., at the home of Resort Owner Sheila C. Johnson. All proceeds from the ticket sales of this exclusive, rare burgundy wine-focused dinner will benefit The Hole in the Wall Gang Camp, founded by the late Paul Newman. This nonprofit organization is dedicated to providing “a different kind of healing” to seriously ill children and their families throughout the Northeast, free of charge www.holeinthewallgang.org. Only 24 seats are available for the seven-course dinner showcasing an artful Japanese omakase tasting menu paired with remarkable Burgundian wines that range in value from $100 to $620 per bottle on the current auction market. Tickets are priced at $2,500 per person. At this special dinner gathering, Daisuke Utagawa, creative director of Sushiko Chevy Chase, MD will showcase his innovative approach to Japanese cuisine paired with Wasserman Burgundy wines to an intimate audience. He will be working closely with the Salamander’s Director of Food & Beverage Jason Cotton and his team, along with Peter Wasserman, national sales consultant for Becky Wasserman & Co, and Sushiko’s Co-Executive Chef’s Piter and Handry Tjan. Together they will provide a one-of-a-kind experience to be held at Johnson’s private Salamander Farm, which served as the architectural inspiration for her destination resort. Reservations must be made by email to Jason Cotton at jcotton@salamanderresort.com. Daisuke Utagawa, a native of Tokyo, stepped out of Sushiko’s kitchen in the early 1990s to pursue a new culinary direction, the “Cuisine of Subtraction,” a Japanese philosophy which represents the removal of unnecessary components from an interesting ingredient to showcase what is inherently good, revealing its true essence. It was this eye-opening revelation that led him to explore the idea of pairing Japanese cuisine with Burgundy red wines as Burgundian winemakers also adhere to a similar philosophy taking what the earth has offer to produce exceptional wines. Utagawa discovered that the “umami” or sweet and salty sixth flavor found in certain cuisines, including raw fish, actually softens the tannins in the red wine balancing it, while the wine enhances the umami on the back of one’s palate, creating an ideal marriage of taste. Opened in August 2013, Salamander Resort & Spa is a LEED Green Building Certified resort situated in the historic village of Middleburg, VA on 340 picturesque acres. Located only one hour from Washington, D.C and just 20 miles from Washington Dulles International Airport, the resort is designed to respect the architectural traditions of Virginia’s countryside with 168 spacious rooms and suites that blend into their natural environment. Resort Owner Sheila C. Johnson has created a luxurious destination featuring an award-winning 23,000-square-foot spa, Harrimans Virginia Piedmont Grill, the Gold Cup Wine Bar, a dedicated Cooking Studio, a chef-inspired Culinary Garden as well as a Tree Top Zip Tour. The resort includes a full-service Equestrian Center with unique programming, a 22-stall stable and riding arena. 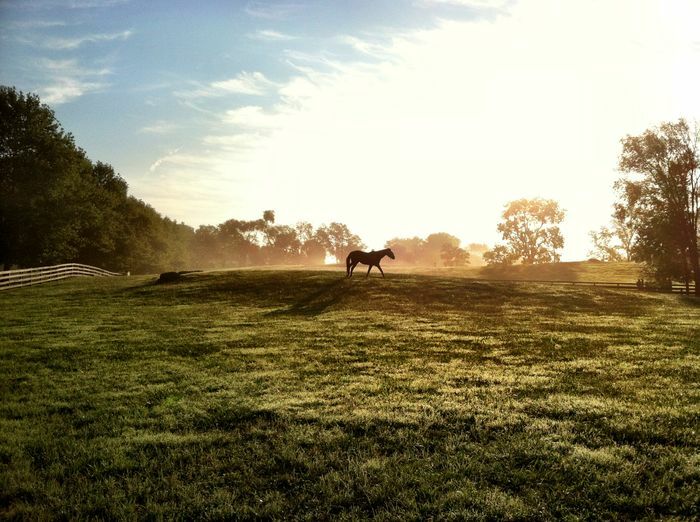 All spa, culinary and equestrian facilities and programs are open to the community. For more information, visit www.SalamanderResort.com or call 866.938.7370.